At 38 years old, divorced, sole parent of two boys, I walked away from my career and began a journey of re-discovery and re-invention of my hopes and dreams. This blog is a journal of this process. 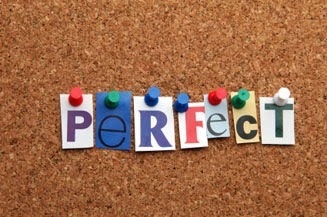 According to a personal coach that I follow on Facebook, everything is perfect the way it is. Life and its chaos, my life and the turbulence I put up with, the trouble I cause myself, the emotive reactions I have that cause me further trouble, is all apparently perfect too. Sounds impossible. But I thought it might be worth exploring. Its seems like the world is actually showing you what you need to see, telling you what you need to hear, and it is all there right now, perfect in its wholeness. If this is the case, I really should explore the troubles I am having and the patterns that my life seems to take on a regular basis. I have started a new job just three months ago and I am exhausted. Prior to this I was working in the family business and working about 12 hours a week, if that. I was cruising and generally being lazy. My choices were based on ease, not on my goals and plans. I was getting fatter, sleeping too much, and feeling worse about myself as the days went on. I was lost, feeling like I was wasting away and everything that I had worked so hard for. I was wasting my time, I was failing at my dreams of starting my own business, all because I did not have the confidence to get out there and give it a crack. It sounds like I totally dropped the ball, but it was not like that. I was really trying to stick to my plans and I kept making goals, but I also kept giving up and making bad choices, getting back on track and repeating the same bad choices. I was on a merry-go round, and slowly spiraling down hill. Three and a half years later I realize now how far I have fallen, and I am unsure how I can climb back up the ladder. I have just finished my probationary period, so I am slightly relieved, but still struggling with a few issues from my upper management. It seems to be expected that I work 10-hour days, which is impossible as a single mother of two teenagers, but I actually don’t believe in working overtime on a regular basis. I need to hone my assertive skills and it feels difficult and scary. I need to be very organized and I am struggling immensely to feel on top of things. I feel like I put in a lot of work for not a lot of outcome. I feel frustrated with others incapacity to do what they are supposed to do. I feel that people say they are doing things, but are not actually following through with them, making excuse after excuse. So now, I am not only feeling the pressure of my work and extended hours, but the also the pressure to reverse the effects from my previous choices. It feels like a double-whammy. And because this is not enough, my son is also struggling through his last year of school and I am extremely worried about him every day, hoping for the best but fearing the worst, and my life seems to be on hold just to help him make it through the year. So how is all this perfect? It has shown me that a hard work is rewarding, not easy, but more rewarding than being slack. This has shown me that consistent good choices are needed for success. Consistency is paramount, not the stop/start method that helped me spiral downwards. Learning to stand up for my beliefs, but to also ensure I am putting in the efforts to show that this situation is not necessary. Shows me how my issues affect those around me, not following through with what I say or plan to do must be very frustrating for others. Sometimes things do not immediately yield results, but this is no reason to give up. It is more reason to push through and come out the other side. Excuses do not change the fact that the job has not been done. Having to manage my son’s issues while I struggle with my own. Life throws curve balls. There is never the perfect time to reach for your goals. You can only control the effort you put in, not what else life throws at you at the time. Family comes first. Now I can see how perfect my current situation actually is. These are lessons that I have been shown. Life is being very clear by showing me what I need to do.